Dog Trainers, like dogs, come in all different kinds. They all aim for similar results, but their methodologies vary greatly! Some use treat-training and other forms of positive reinforcement. Others use clicker training to condition a dog's responses. Others use electronic devices or specialty leashes to obtain the desired results. All methods have pros and cons and you need to ask yourself which method appeals to you the most, before narrowing your search to a specific dog trainer. 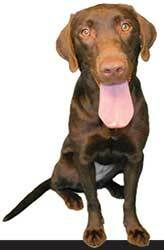 Read some of the articles here to best determine which Dog Trainer is right for your dog(s).